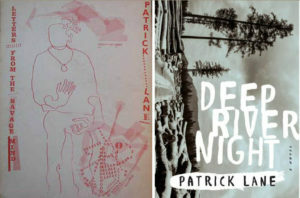 Award-winning poet and novelist Patrick Lane passed away on March 7 at age 79, the result of a heart attack. His publisher, McClelland & Stewart, made the announcement, calling Lane “one of Canada’s most renowned writers” — a claim few would argue. Lane’s distinguished career spanned 50 years and 25 volumes of poetry, as well as award-winning books of fiction and non-fiction, published in over a dozen countries. The winner of numerous accolades — including the Governor General’s Award for Poetry, the Lieutenant Governor’s Award for Literary Excellence, the Canadian Authors Association Award and three National Magazine Awards — he was named an officer of the Order of Canada in 2014. His passing made headlines in media outlets nation-wide, including (but not limited to) CBC News, the Globe & Mail, CBC Radio’s As It Happens and On The Island, the Toronto Star, Radio-Canada, Times Colonist, the Vancouver Sun, CHEK TV, CTV, Victoria News, The Tyee, CBC Radio’s The Next Chapter and North By Northwest (skip to the 00:56 mark to hear Writing professor Bill Gaston and alum Carla Funk, and 2:07 for alum Steven Price, and then jump to the 2:08 mark to hear this March 10 archived interview with Patrick Lane himself). A free community gathering to honour and remember Patrick will be held from 7-9 pm Saturday, April 20, in UVic’s David Lam Auditorium (MacLaurin Building). This event will replace a previously scheduled ceremony to present him with the George Woodcock Award, originally slated for April 27 at the sxʷeŋxʷəŋ təŋəxʷ James Bay branch of the Greater Victoria Public Library. Organizers are expecting a capacity crowd for this limited-seating event; please arrive early to avoid disappointment. There will also be a second public memorial on May 19 at Langham Court Theatre. An editor, anthologist and frequent media commentator about poetry and Canadian culture in general, Lane was also a much sought-after teacher, having held positions at the University of Saskatchewan and as writer-in-residence at the universities of Toronto, Alberta, Manitoba and Concordia University. 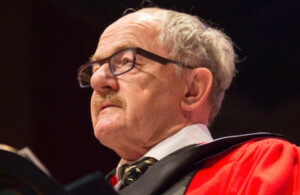 In recognition of his service to Canadian literature, he received a Doctor of Letters (honoris causa) from UVic in November 2013, as well as honorary doctorates from UBC, McGill University, UNBC and VIU. 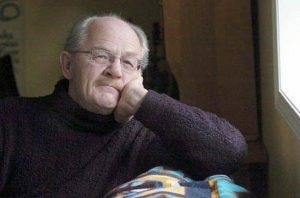 He was also honoured to be one of the few poets to see his work gathered and published as a collected works in his lifetime: 2011’s The Collected Poems of Patrick Lane included more than 400 poems, dating back to 1962. “What makes this career even more remarkable is that Patrick’s formal education stopped with the completion of high school. However, through wide reading and dogged perseverance, he became one of the best educated and unconventionally brilliant people I have ever encountered,” wrote noted Canadian author Guy Vanderhaeghe in support of Lane’s honorary doctorate. 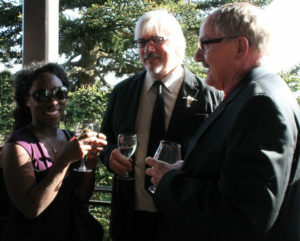 Formal awards and designations aside, Lane was admired and well-loved by colleagues and former students, many of whom have gone on to influential literary careers themselves. 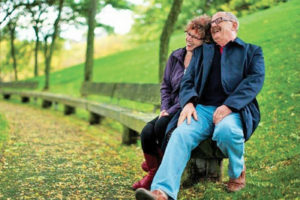 Fellow alumni including acclaimed novelist Steven Price and former Victoria poet laureate Yvonne Blomer also fondly recalled Lane as an influential teacher, supportive mentor and close friend, when they spoke to both CBC Radio’s North By Northwest and the Times Colonist, respectively. Born in 1939 in Nelson, BC, Lane earned early praise for his poems based on his “working man” experiences, and helped spearhead a new generation of Canadian poets by co-founding the small press Very Stone House in 1966. His first poetry collection, Letters From The Savage Mind, debuted that same year, and his final novel, Deep River Night, was published in 2018. His frankly honest 2005 memoir, There Is A Season, chronicled his rehabilitation from alcoholism, and earned him both the Lieutenant Governor’s Award for Literary Excellence and the BC Award for Canadian Nonfiction. “I stand here looking out over this assembly and ask myself what I can offer you who are taking from my generation’s hands a troubled world. I am an elder now. There are times many of us old ones feel a deep regret, a profound sorrow, but our sorrow does not have to be yours. You are young and it is soon to be your time. A month ago I sat on a river estuary in the Great Bear Rain Forest north of here as a mother grizzly nursed her cubs. As the little ones suckled, the milk spilled down her chest and belly. As I watched her I thought of this day and I thought of you who not so long ago nursed at your own mother’s breast. There in the last intact rain forest on earth, the bear cubs became emblems of hope to me. It’s an ironic contradiction of the human condition that the only thing as timeless as war is our simultaneous desire for peace. 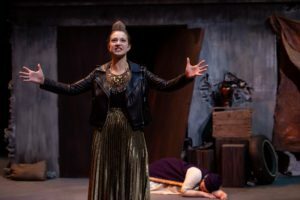 Sadly, this makes Phoenix Theatre’s mainstage production of Trojan Women as current as when it was first performed in 415 BCE. 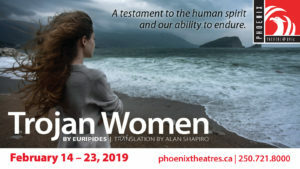 Running from February 14 to 23 (with previews Feb 12 & 13), Euripides’ tragedy follows the perspective of the wives, mothers and daughters of the defeated Trojan warriors as they struggle with grief, uncertainty and, ultimately, courage while their fates are decided by the conquering Greeks. 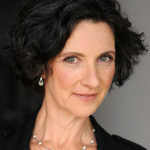 A performance professor with Theatre since 1996, and an accomplished actor and director in her own right — many will recognize Wood from her on-stage work at the Belfry, Blue Bridge Theatre, Bard on the Beach or the Stratford Festival — this show actually marks Wood’s directorial debut at the Phoenix. 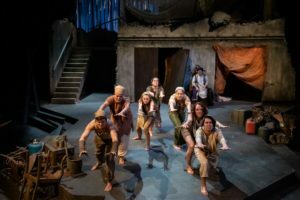 The public is also invited to a free pre-show lecture by Dr. Laurel Bowman of UVic’s Greek & Roman Studies department at 7pm Friday, February 15, where she will discuss how the play would have been originally received by an Athenian audience of largely military personnel who were in the middle of a 30-year war between Athens and Sparta. The UVic Orchestra concert on February 1 takes its inspiration from Dvorák’s From the New World Symphony “by turning towards the future in presenting new and recently discovered musical ‘worlds’ and landscapes,” says conductor and School of Music professor Ajtony Csaba. Mozart’s Symphony No. 35 in D Major (Haffner) is the musical point of reference for the first half of the concert. This symphony began as a serenade, commissioned as background music by the — a prominent Salzburg family — for the ennoblement of Sigmund Haffner in 1782. Mozart converted the serenade into the symphony as we know it today, and it was premiered with great acclaim in 1783 in Vienna. Georg Friedrich Haas composed …è finisci già?, paraphrasing another Mozart composition in D-major: the unfinished Horn Concerto K. 412. The title — translated as “Is that all [you’ve got]?” — quotes one of Mozart’s many provocative annotations in the score that reveals a humorous communication protocol between the composer and soloist. Dvorák wrote his famous Ninth Symphony in 1893 while he was the director of the National Conservatory of Music in New York. While living in America, Dvorák became interested in African-American spirituals, plantation songs of the American South as well as Native American traditions. From the New World — a synthesis of many musical traditions — became a fusion of both the Old World and the New. Hear more about this program at a special pre-concert talk with Professor Gregor Kokorz (Wirth Institute, University of Alberta), composer Max Murray and conductor Ajtony Csaba. 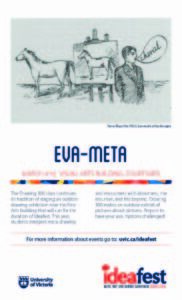 This free pre-concert talk begins at at 6:45pm in room C110 of UVic’s Clearihue building. From the New World with the UVic Orchestra begins at 8pm Friday, February 1 at The Farquhar in UVic’s University Centre. 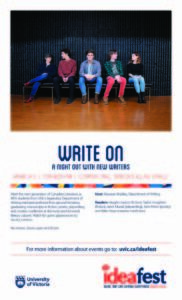 Tickets are $10-$20 — but are free for any UVic student. You can buy tickets here. 2019 is off to a harmonious start, thanks to a stellar series of faculty concerts at the School of Music. But while all of these performances feature current teaching faculty, there are also a number of concerts and recitals featuring current students and alumni. Be sure to check the School of Music’s online events calendar for complete listings. Classical and folk music traditions are woven together in the Crossing Boundaries concert on January 13, where trumpet professor Merrie Klazek will be joined by fiddle champion Pierre Schryer and guitarist/vocalist Andy Hillhouse for an energetic concert showcasing a variety of musical styles ranging from Celtic and Latin to classic jazz and baroque. Crossing Boundaries will take you on a journey through music ranging from 1560 to 2018. 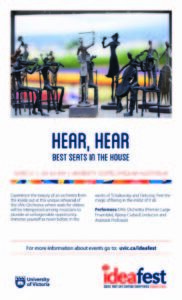 Expect to hear everything from ’70s pop and Irish reels to contemporary ballads, Latin Samba and Baroque court music, along with anecdotes and stories shared by the performers. 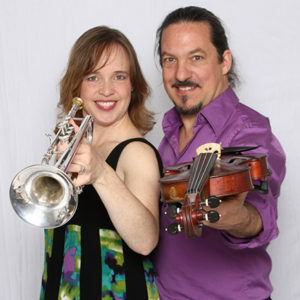 The program will give Klazek an opportunity to demonstrate the many colours of the trumpet family—including piccolo, cornet, flugelhorn, and standard C and B-flat trumpets—while treating the audience to some the finest fiddle and guitar playing around. Merrie Klazek is well-known as a performer, teacher and recording artist of orchestral, chamber, traditional and popular music, and her career has taken her around the globe. A celebrated performer and producer, Schryer is one of Canada’s leading traditional fiddlers and has established himself as a gem among fans and fellow musicians for his captivating performances. Hillhouse is a touring bandleader, choral director, music and culture scholar, and festival organizer. 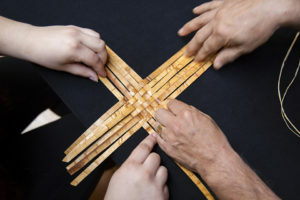 Crossing Boundaries runs 2:30-4 pm Sunday, Jan. 13, in the Phillip T. Young Recital Hall. Tickets are $10-20. Clarinetist Shawn Earle performs solo contemporary works influenced by non-western cultures in an afternoon concert on January 15. The clarinet is very versatile, with the ability to produce a variety of different tonalities and timbres. This concert explores this versatility through works imitating and influenced by South Asian Indian Raga, East African guitar, Balinese music and Japanese visual art. Other instruments such as a kick drum, Tibetan tea bowl and electronic sounds will be used to broaden the sonic pallet. 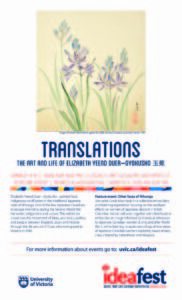 Works on the program include Evan Zyporyn’s Four Impersonations, John Mayer’s Raga Music, Judith Shatin’s Cherry Blossom and a Wrapped Thing: After Hokusai, and others. 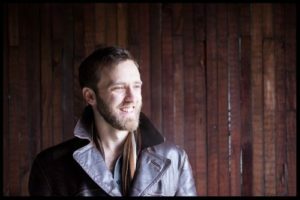 Shawn Earle teaches clarinet at UVic, performs regularly as a soloist and has been a chamber musician with the Albemarle Ensemble, Cascadia Reed Quintet, Vancouver Clarinet Trio, Trio Dolce and guest artist with the Novo Ensemble. 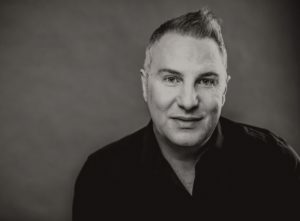 He has also performed with the Charlottesville Symphony Vancouver Symphony Orchestra, Okanagan Symphony, Victoria Symphony, Vancouver Island Symphony and Vancouver Metropolitan Orchestra. 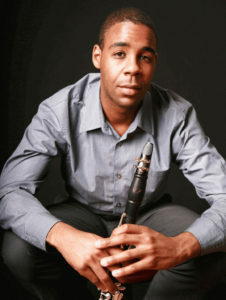 The Cross-Cultural Clarinet runs 12:30-1:20 pm Tuesday, Jan. 15, in the Phillip T. Young Recital Hall. Admission is by donation. The great American West Coast trumpeter and singer Chet Baker left a profound mark on jazz in his 40-year career. The iconic poster boy for West Coast cool jazz, Baker would have turned 90 this year. Take a journey through the fascinating world Baker lived in with a concert on January 18 featuring School of Music professor and trumpet personality Patrick Boyle, Victoria veteran pianist Tom Vickery, Don Cox on double bass, and drummer Morgan Childs. Cool jazz refers to a style performed by jazz musicians in California in the 1950s and early 1960s. As opposed to the harder edged sound popular on the East Coast during that time, this cooler West Coast style was more lyrical and soft—Baker’s hallmark sound. Like fellow trumpeter Miles Davis, he could express himself in a few choice notes with his lyrical, poetic playing. Three decades after his untimely death, Baker’s music continues to resonate with listeners today. 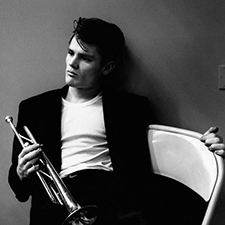 Almost Blue: Chet Baker at 90 runs 8pm Friday, Jan. 18 in the Phillip T. Young Recital Hall. Tickets are $10-25. On January 27, School of Music professors cellist Pamela Highbaugh Aloni, pianist Bruce Vogt and soprano Susan Young will present a concert of works for cello, piano, and soprano by César Franck, Johannes Brahms and Leila Lustig. 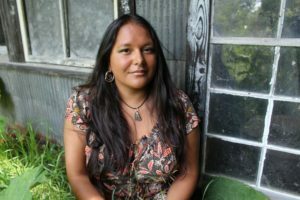 Pamela Highbaugh Aloni has enjoyed performing both as a chamber musician and soloist in North America and Europe and is a co-founding member of the beloved Lafayette String Quartet. Among the elite of Canadian pianists, Bruce Vogt is a unique and dynamic performer. He appears regularly in concerts within Canada, but has also inspired audiences in England, the USA, Germany, France, Italy, Norway, Czechoslovakia, Bulgaria, China, and Japan. Canadian soprano Susan Young is in demand as a performer, choral conductor, clinician and adjudicator. Educated as both and singer, she is known for the diversity of her skills and has performed in Canada, the United States, Spain, France and Austria. Music for Cello, Soprano and Piano runs 8pm Sunday, Jan. 27 in the Phillip T. Young Recital Hall. Tickets are $10-25.